Looking to break into investing? Cryptocurrencies represent today’s most lucrative and most volatile investment opportunities. While many seasoned investors won’t touch cryptocurrency, others have made fortunes with Bitcoin. And Bitcoin is only the beginning! If you are thinking of buying some Bitcoin or Etherium, you need to understand the difference between cryptocurrency and conventional investing. 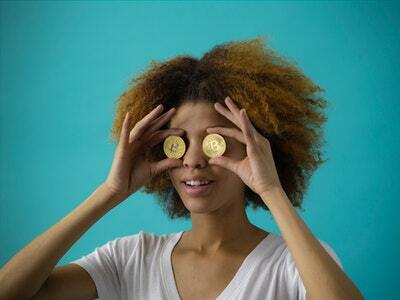 Read on for some of the best tips on how to invest in cryptocurrency. What sets cryptocurrency from conventional investments apart is volatility. Cryptocurrencies like Bitcoin are notoriously volatile. Perhaps the most famous story of the insane price fluctuations of Bitcoin is the story of Kristoffer Koch. Koch bought 5,000 Bitcoin for $27. In today’s prices, these Bitcoin cost a bit more than $15 million dollars! But the price of Bitcoin isn’t always going up. There are unprecedented ups and downs every year since this is a new economic phenomenon. Cryptocurrency is not backed by any central bank, so their value comes solely from the market of cryptocurrency itself. On top of volatility, there are several other inherent risks with cryptocurrency investing. These include low liquidity, no dividends, and no regulation. Investing in cryptocurrency is like investing in a startup, and more than 90% of all startups fail. Simply put, you can’t talk about cryptocurrency without mentioning the coin that started it all: Bitcoin. Bitcoin is still the undisputed king of the cryptocurrency world. It is powered by open-source peer-to-peer technology. Nobody owns Bitcoin and its design makes it so it cannot be controlled. Bitcoin serves as the model upon which most other cryptocurrencies are based. While its performance had not meet the most optimistic predictions of the past year, Bitcoin is still a viable, albeit volatile, investment opportunity. Ethereum is the second largest cryptocurrency and has been so for the majority of its existence. It is generally more volatile than Bitcoin. Ripple briefly stole the second-largest spot from Etherium in 2018. It is now the third largest and grows together with Etherium in 2019. Litecoin is touted as a relatively stable cryptocurrency because it is used as a payment mechanism. This gives it a slight edge over other Bitcoin alternatives. Monero comes with complex encryption to ensure privacy and untraceability. It advertises itself as the most secure cryptocurrency. Bitcoin Cash rides on the popularity of the original Bitcoin. It was one of the most traded coins in 2018 and it’s still gaining popularity in 2019. Before you place your first live order in your wallet, you need to understand what you are getting into. The first thing you have to do is educate yourself on how cryptocurrency works and how to invest. Since you are reading this article, you are already doing your research on cryptocurrency. This is not a one-off endeavor. As your portfolio grows, so should your knowledge. In such a volatile market, trends change quickly and you should stay informed to be able to adapt. Check out this website for hot stocks and all the latest cryptocurrency news. Ultimately, you should be able to understand the technical analyses of the value of each cryptocurrency you are planning to invest in. Experts study these coins for trends, giving insights on how they are going to behave in the future. When prices move, you should be able to make informed decisions in order to invest competitively. Scammers thrive in unregulated markets, and cryptocurrency is no exception. The most prevalent type of scam is fake initial coin offerings, or fake ICOs. Fake ICOs promise insane returns based on forged whitepapers and fake testimonials. Shocking examples of fake ICOs include Bitcoin Platinum, Benebit, Centra, and Confido. These fake coins were created to scam investors out of their money. Since cryptocurrency transactions are anonymous, scammers can get away with outright theft and you won’t be able to do anything about it. Your legitimate wallet is not 100% safe, either. As everything is digital, your wallet is susceptible to hacking if your computer is not secure or if your password has been compromised. Moreover, if you lose your wallet due to your own negligence, you have no means of recovering it. You will need multiple accounts to trade cryptocurrency across different sites. If you trade in more than Bitcoin, it becomes hard to track how much you actually own. Keeping track of your assets is crucial to know whether you are actually making a profit or a loss from your investments. Before you open a new account, make sure you have a system in place to consolidate and track your funds. Spreadsheets work fine, and there are also specialized platforms to help you streamline your fund management, such as Cointracking. Finally, the cardinal rule of investing holds true with cryptocurrencies as well. Invest only what you can afford to lose. If you are unsure, or if you just can’t afford it, then do not invest in cryptocurrency. Many beginners have lost their entire savings on a Bitcoin bump. Make no mistake; this is a lucrative yet risky market, so invest with care and prudence. If you decide to invest in cryptocurrency, you should understand the uniqueness of the market and be ready to put in the work. Before buying your first Bitcoin or diversifying into other cryptocurrencies, educate yourself and make sure you are fully prepared. Here at More Than Finances, we aim to deliver premium-quality finance news and advice to empower you to make informed financial decisions. Come on in and enrich your understanding of cryptocurrencies today.